Welcome to the Outback! 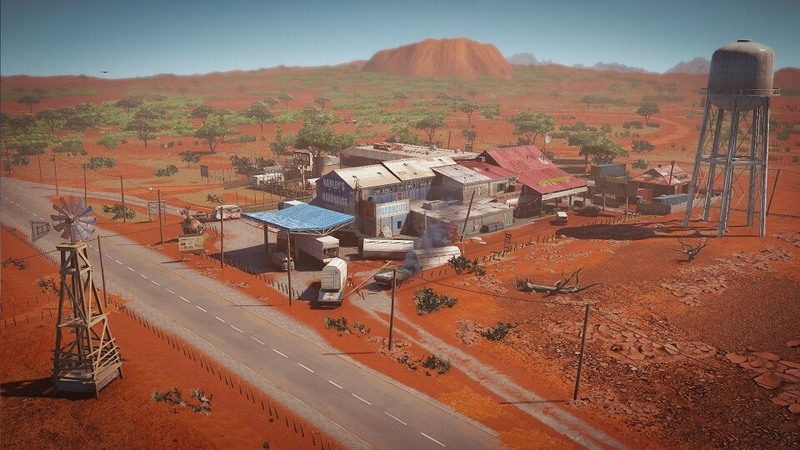 Set in Australia’s Red Heart, this map is an homage to all the dusty service stations and motels that populate the forgotten highways of the continent, places filled with hardworking locals and specialty menu items you’ll find nowhere else. Unfortunately for this particular pit stop, a passing nuclear convoy came crashing to a halt while under attack, forcing locals and patrons to flee and causing Rainbow to be called in. As to what inspired the team when designing the game’s 21st map, Assistant Level Design Director Jacques Wong says they referred to two fan favourites – Oregon and Clubhouse. Meanwhile, the three sections are as unique inside as they are out. Get ready for rooms packed with souvenirs and cultural artifacts from many a roadside petrol station across the Great Southern Land. You might even run into our friendly resident mascot, Norman, in the restaurant, though we do ask that you try not to stare. Outback will be launching as part of Operation Burnt Horizon, the first season of our Year 4 lineup. For more information, follow us on Facebook[www.facebook.com] and Twitter or join the discussion on our subreddit and forums[forums.ubi.com]! Visit our Rainbow Six Twitch Channel [www.twitch.tv]on February 17 for the full reveal of Operation Burnt Horizon, live from the Six Invitational in Montréal.